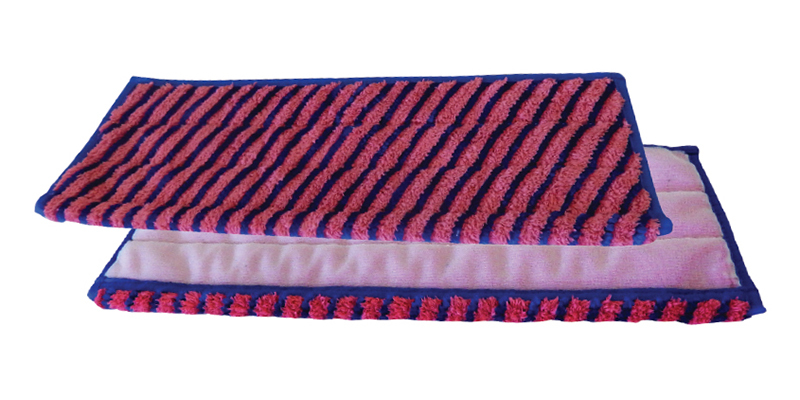 Velcro Flat Mop Holder available in 30cm and 40cm. 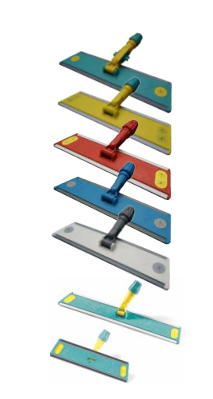 The head attaches to telescopic mop handles which can be adjusted to the operator’s correct height. These heads allow microfibre covers to be changed easily without the operator touching the dirty area. You simply attach a pre-soaked microfibre cover to clean your area, then put the dirty cover into your bag for laundering. 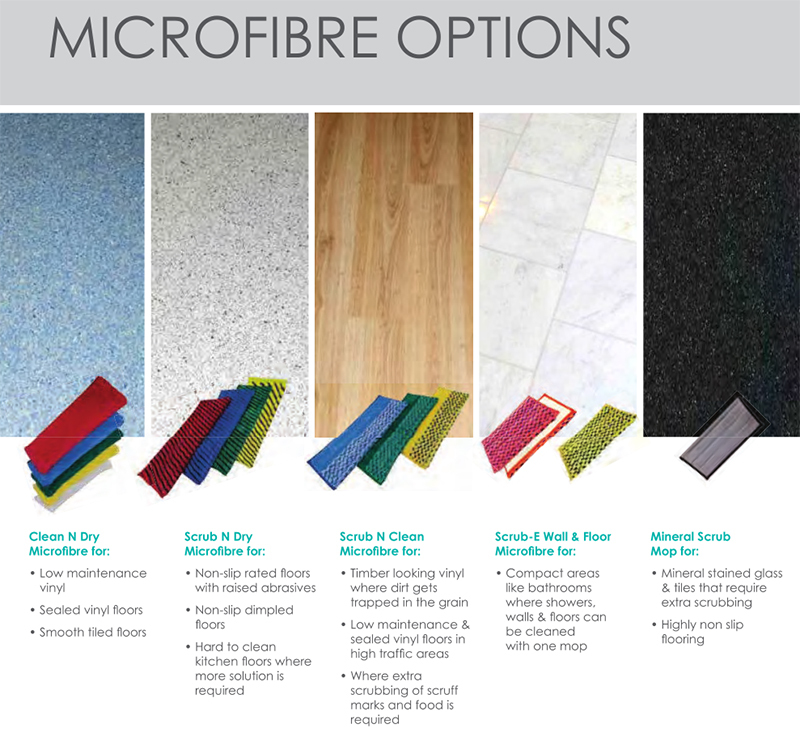 Scrub N Dry antibacterial microfibre mops are designed to Scrub non-slip (safety floors) and to leave them dry in the shortest time possible. 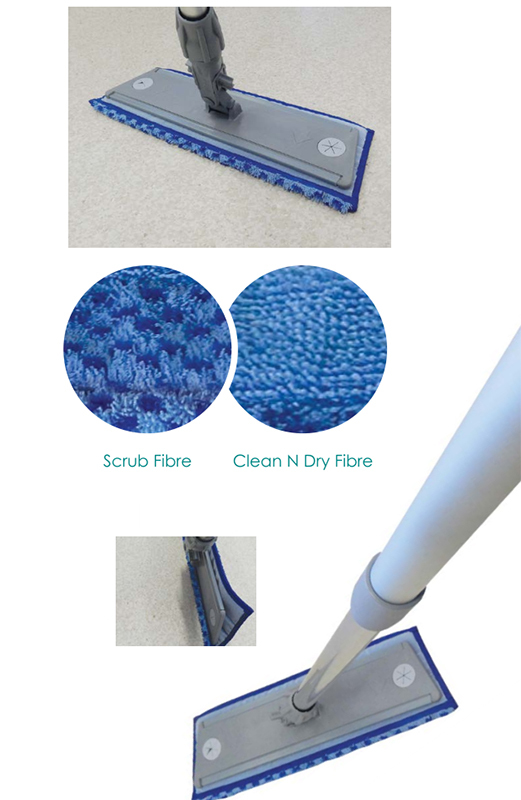 Scrub n Dry Mop covers contain microfibre cloths inside the mop which help to hold up to 600mls of picked up solution in a similar way to how a babies nappy works keeping the surface of the mop on the floor drier at all times. Great on hard to clean floors in utility rooms. This mop can get into edges, brushing and cleaning better than any other mop due to its diagonal Scrub strips and a folded front design. Can be Laundered over 500 times. Holds 60% more than competitive mops. Can be washed at 95 degrees celsius. Clean N Dry Covers Antibacterial Velcro Mops are designed for mopping normal low maintenance, sealed or tiled floors. 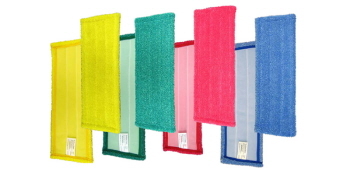 They contain two microfibre cloths inside for extra pickup and raised edges for superior glide. These are designed to clean your floors and leave them dry in the shortest possible amount of time. The quicker a floor can be left dry, the less residuals will be left behind, hence making your floor stay cleaner longer. Available colours are in blue, red, green, and yellow. 40cm in length. 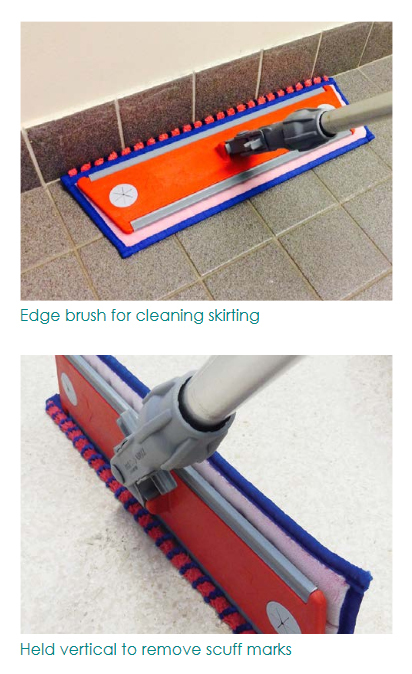 Scrub N Clean Mop covers are designed for mopping normal low maintenance, sealed or tiled floors where extra scrubbing or cleaning edges in required, without causing extra drag. 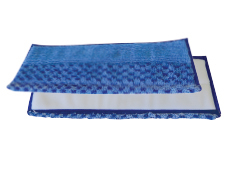 These Scrub N Clean Mop covers are designed to scrub and clean your floors and leave them dry in the shortest possible amount of time. Perfect for vinyl floors with a grain creating a timber looking floor. Available in blue, yellow and green. Disposable Mop Covers 40cm in a pack of 30.